Why Do So Many People Have Back Pain? The back is a complex body part. There are muscles, ligaments, bones, joints, and discs. And the back is used in posture, exercise, physical labor, walking, and sitting. Therefore with so much use, it can be prone to injury. However, a more common cause is our sedentary lifestyles that involve sitting in office chairs or on our couches for 50+ hours per week. When you think about it, we actually spend a ton of time not moving our bodies around! Excessive weight also plays a role in whether or not you’ll develop back pain during your lifetime. It puts excess stress on the back. 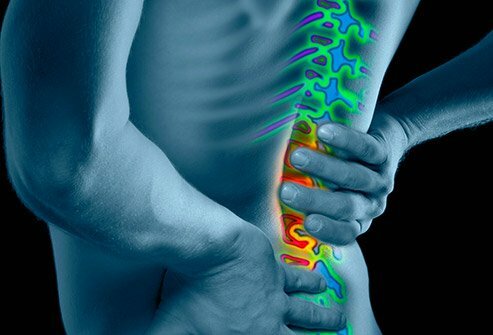 Some people have back pain due to a past car accident or injury obtained through a sports accident. One solution for back pain is to be very careful when you lift heavy things. Make sure you are using your leg muscles and not just your back. Bend those legs and keep that back straight! See: Proper Lifting Technique on Web MD. Another solution for back pain is to try not to sit so much in order to prevent pain in the first place. And when you do sit, make sure you have good posture and don’t slouch! When you smoke, blood flow is reduced to areas in your body. In this case, there’s less blood flow to the disks in your back. This results in slower healing from small injuries than would otherwise happen in a non-smoker. Back pain can also be symptom of a more serious problem such as: arthritis, cancer, and internal organ issues. Always consult with your doctor to rule out disease before starting a recovery program. Osteoporosis may cause the vertebrae in your back to develop fractures when they become porous and brittle. If your spine curves to one side, it can lead to back pain. However, this usually doesn’t occur until middle age. Whether a dull ache or a sharp pain, you back pain will impact your quality of life. A back roller might be a solution for you. 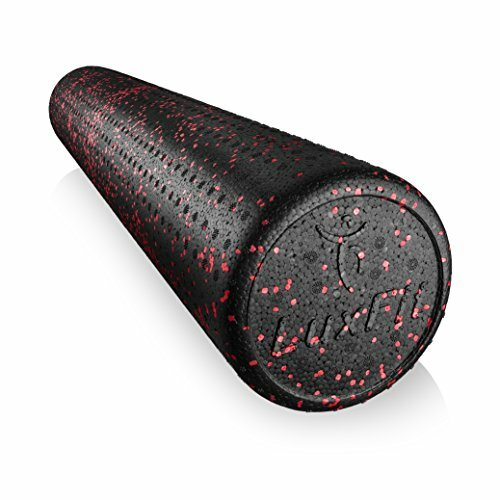 Many people have found great success with using a foam roller for back pain. We’ve chosen our favourite videos displaying foam roller for back pain exercises. Get some relief for your back pain today! But, before you get started, we highly recommend that you check out the following videos below. 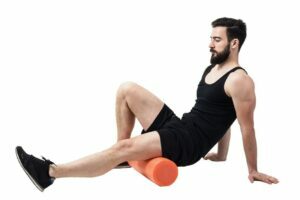 There most certainly is a CORRECT way and an INCORRECT way to use a foam roller for back pain. And the best part about it is that foam rollers cost around $20 or 30. Certainly cheaper than expensive chiropractic or physiotherapist appointments. We love foam rolling! 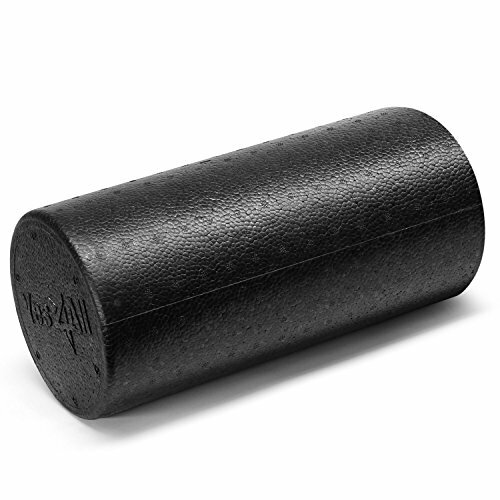 Foam rolling is technique called self-myofascial release. This means that you are using the mass of your body to apply pressure from a foam roller in order to release tension in the soft tissue of your muscles. This soft tissue, or fascia, is found everywhere: around nerves, organs, muscles, and bones. If fascia is damaged it can restrict range of motion and cause serious pain. 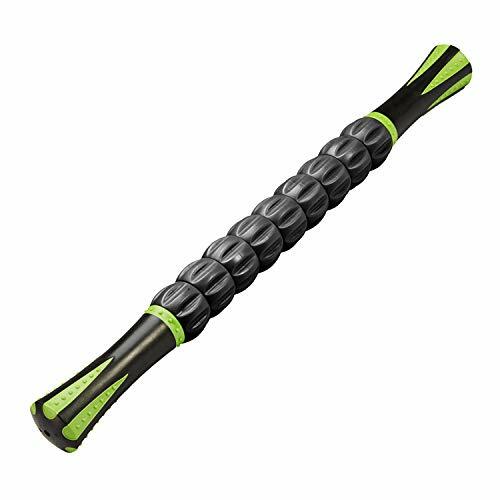 Back rollers can provide tension relief and extend the range of motion in your back if used correctly over a period of time. From a Bozeman, Montana sports medicine specialist, this quick 3-minute video gives you the basics of foam rolling for back pain. It’s some solid advice from a guy who really knows what he’s talking about. This video from a chiropractor in San Francisco gives you a basic overview of using a foam roller for back pain. There are also a few exercises that you can try for yourself at home. 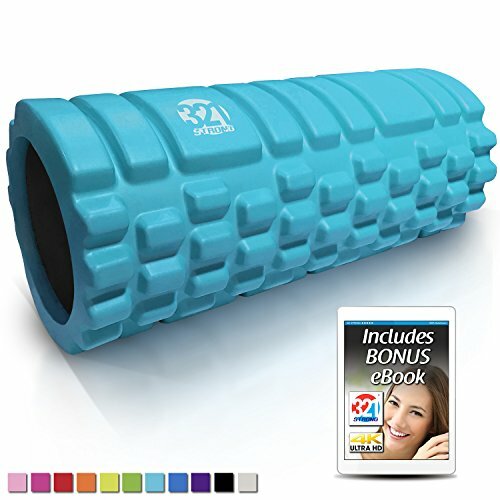 It’s another solid choice if you want to use a foam roller correctly. This short video from an American chiropractor shows you the best techniques for using a foam roller for mid back pain and upper back pain. It’s a short video that can help you relieve a lot of pain! Or, take a look at one of top rolling techniques below the video. Place your mid-back on the roller. Put your arms behind your head or on your chest. Roll until the roller is on your upper back. Roll back to the original spot on your mid-back. To increase intensity, elevate your hips and contract your abdomen. This top rehab doctor gives an introduction to using a foam roller for back pain. It’s a solid video from a trusted source. Or, take a look below at some of our recommendations. A common cause of lower back pain comes from tight hip flexors. You might find a smaller roller more helpful here. 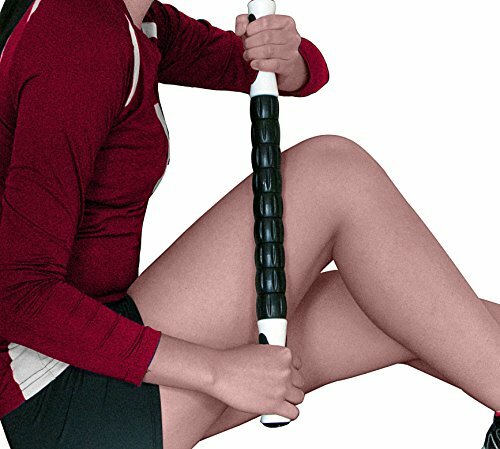 Lie on your stomach and place the roller under one of your hips. Put your other leg out to the side and knee bent. Lift your upper body with your forearms flat on the floor. Extend the leg that has the roller under it, toes pointed. Start rolling up and down. Go slow and try to identify where you feel the most tension. Spend some time (25 seconds) going over the most tenuous place. Next you’ll want to flip over and take care of your glutes. Sit on your foam roller. Place your hands behind you and bend knees at a 45 degree angle. Cross a leg over the other so that the one ankle is on the outside of the other knee. You might need to straighten the bottom leg to accomplish this. Twist your core just slightly in the direction opposite of how your leg is crossed. Roll up and down and identify tenuous spots. Spend 25 or so seconds applying pressure to these spots. What’s the Deal with Hip Flexors and Back Pain? If you have a sore back, you should know that one of the most often overlooked culprits is a tight psoas muscle, also known as a hip flexor. It originates from the T12 to L5 vertebrae in the lower back and then attaches at the hip bone. 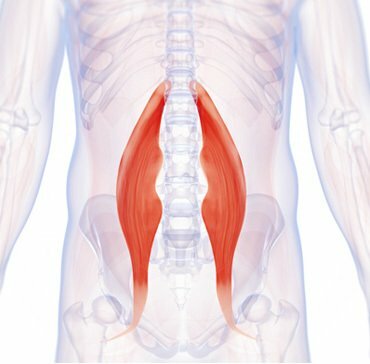 One of the main and often overlooked culprits in low back pain is the psoas muscle, also known as the hip flexor. The people that most often have problems with tight hip flexors are people who run, or sit a lot. Or, those who have different leg lengths. If tight hip flexors are left untreated, the body will try to compensate by making sone changes which can often lead to additional symptoms include lower back pain. You may have this problem if you have have pain in the lower back when sitting or standing, have a difficult time standing fully upright with good posture, experience pain in the glutes, or have radiating pain down one leg that stops above the knee. How Can I Unlock My Hip Flexors? That’s a great question and we’re happy that you asked! You’ll want to check out this program: Unlock your Hip Flexors. It’s the most comprehensive, detailed guide for helping you release your hips, and be free from pain. How Often do I Foam Roll? 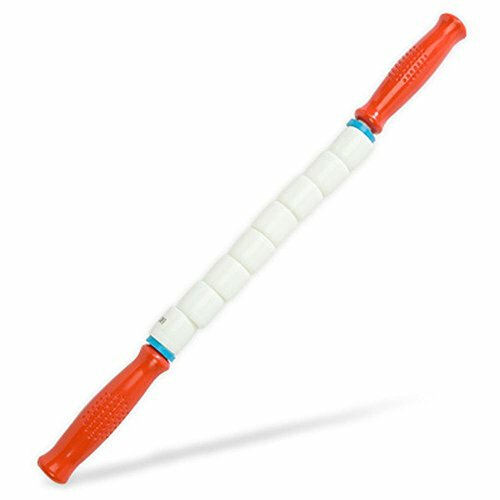 Many people use a back roller everyday. You can consider it part of your stretching routing. And like stretching, you can use the back roller before and/or after a workout, a physical day at work, or a day of sitting at a desk. Make sure you go slow and don’t spend more than 25 to 30 seconds on any tenuous area in a given session. And, you don’t have to be experiencing back pain in order to use a back roller. We suggest everyone use foam rollers. There are several preventative benefits and many people find it an easy and comparatively inexpensive option over professional massage. We hope that you found these videos helpful for learning how to use a foam roller for back pain. 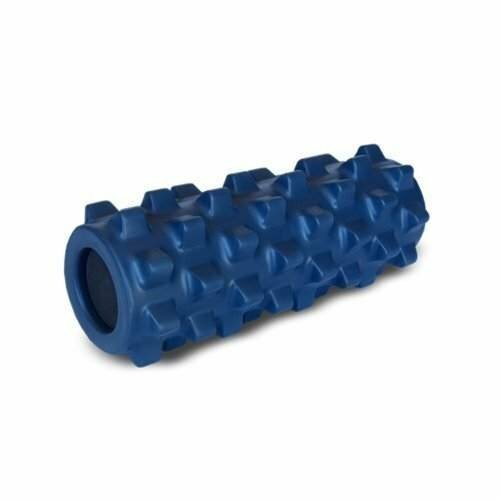 You’ll generally find that using a foam roller consistently over the course of a few weeks will help lessen the pain that you might have. 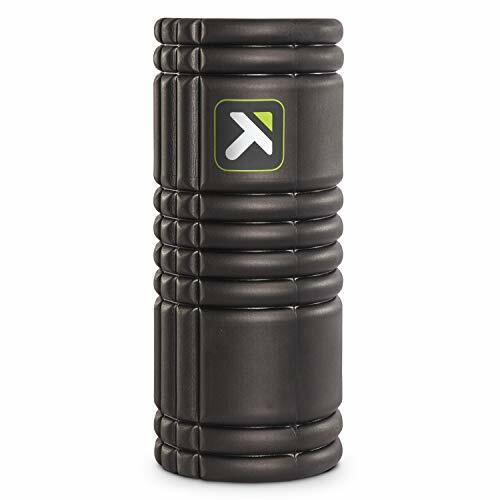 If you’re a beginner to foam rolling, and are looking for some advice about which foam roller to buy, then you’ll need to check out our article: Types of Foam Rollers. 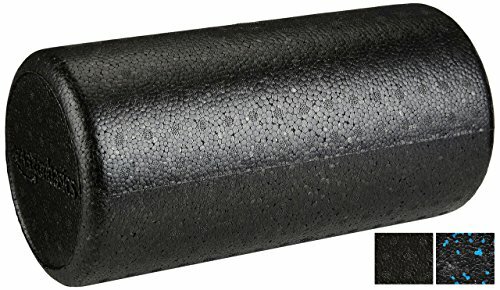 Or, check out our #1 pick for foam roller: Best Foam Roller for Back. 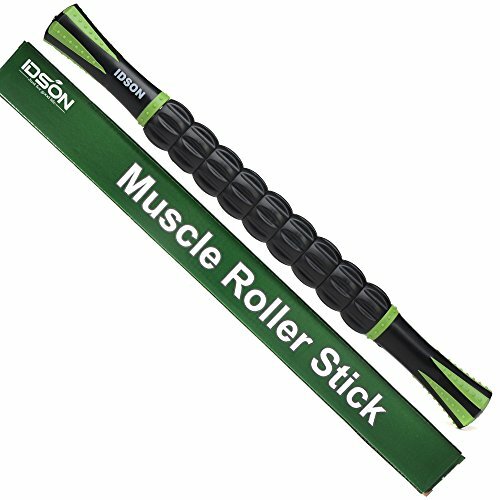 What should I Consider when Shopping for a Back Roller? If you travel a lot, go small. But for your home use and for most back sizes, a large size will work best. Next, think about density of the foam. A softer foam will be cheaper, warp faster, and over time become immobile. A more dense foam will feel more intense when you use it, but it will last a lot longer and provide a more helpful massage. Finally, you need to look at the design. Common design is smooth and cylinder shaped. Beginner design has knobs on it and still cylinder shaped. Pros: Less intense for beginners & can reach smaller muscle groups. Cons: Can take longer for affects to take hold. We use our backs every day and all day. 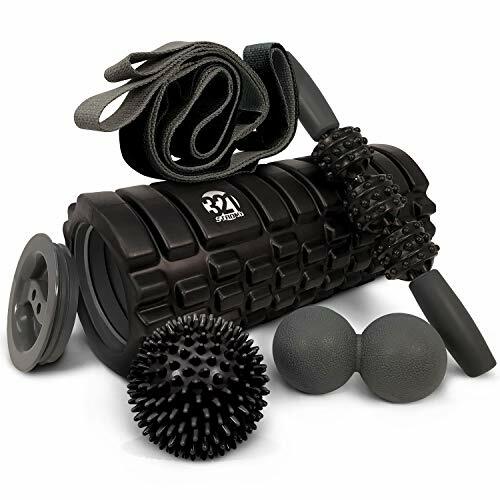 Whether you are experiencing tension or have had a recent injury, or just want to maintain flexibility and muscle suppleness, back roller can be your best friend. There is a reason why back rollers are common place for elite athletes and those in physical therapy. The complex system of the back must endure and perform. 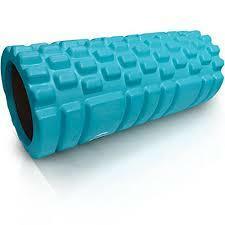 By adding foam rolling to your back strengthening program will keep muscles, joints, and ligaments ready for tomorrow. 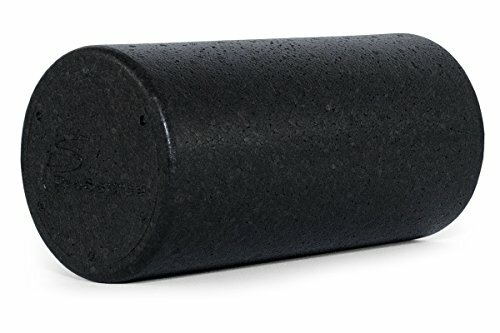 Do you have one or two go-to exercises for foam roller exercises if you have back pain? Leave a comment below and let us know what you think. Also be sure to give this article a share on Facebook, Pinterest, or Twitter. It’ll help other people with back pain find this useful resource.